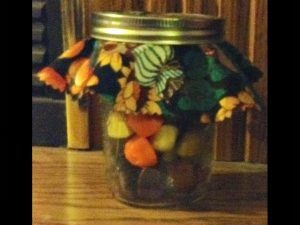 Need a Thanksgiving hostess gift or Fall gift?This Thanksgiving Hostess gift is super easy and great for a child helper to assemble in preparation of your Thanksgiving or fall visit to family and friends or the local nursing home. Use this Gifts in Jars Thanksgiving Hostess Gift with a Real Deal for an inexpensive pretty gift! This gift can be used as a Thanksgiving Hostess gift just as the Gift in Jars: Turkey Noodle soup can be used. 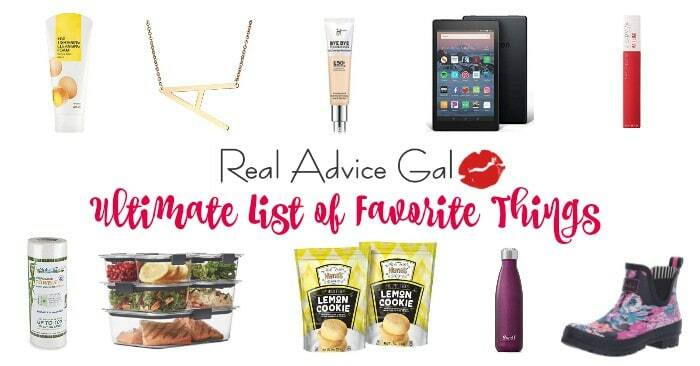 However, this can also be an extra treat for someone who just loves fall, fall colors, or these specific candies that are only found during this season! Shop Halloween clearance for wonderful deals on candy corn and mellowcreme pumpkins or fall mix. Several drugstores discount the candy bags up to 90% off after Halloween. Candy corn can be found year round but not nearly as inexpensively as during Halloween clearance. My Mom has even bought and frozen candy corn in years past. The bag in the picture for the supplies for this Thanksgiving Hostess gift were bought for less than a $.25!! Jars may be found at yard sales, estate sales or simply by mentioning to friends throughout the year that you are collecting jars. The jars can be recycled from food items you regularly buy. 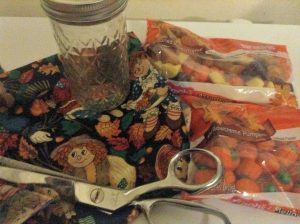 Cotton fabric is recommended because it hangs nicely and fits well under the band of the jar. Fabric may be the most expensive item needed for this gift…and it doesn’t have to be expensive if you buy it after Thanksgiving this year for next year’s gifts! No sewing is required, simply use pinking shears to cut a large circle to place over the lid and under the band. Twine, ribbon or other decor may be added. A simple spray painted band or plan band may be used. Use other inexpensive ingredients to make these Gifts in Jars: Brownie, Oatmeal Spice and Bath salts. Use fabric that coordinates with the season or celebration occasion. Get fall, football: Denver Broncos, and other teams …Christmas, Hannukah fabric at Amazon! Be sure to take your Thanksgiving Hostess gift on your next visit. Know that your Thanksgiving Hostess gift can be used as decor and enjoyed after the company is gone!